100 years ago Winston Churchill wasn’t yet Prime Minister of Britain, but he was a leading politician making key decisions in World War 1. Unsurprisingly, he describes his job as causing him great anxiety. He felt removed from the action with too much time on his hands to worry. It was no coincidence that it was at this point that he found painting. Or rather, he describes the Muse of Painting as having come to his rescue. Over the holidays I’ve been reading ‘Painting as a Pastime’ by Winston Churchill. In this compact little book he explains his theory of why painting is such a good ‘pastime’ to cultivate. As he sees it the key is that, to most of us, painting is an activity that uses a different part of our mind than our normal everyday activities. Instead of reading, thinking, analysing, talking and even worrying, painting requires close observation (REAL ‘seeing’ rather than thinking) and hand-eye coordination. Churchill describes how the worn parts of the mind can be rested and restored, not just by giving them a break, but by actively using different parts of the brain. Churchill wrote this long before the modern neuroscience discoveries about the differing roles of the left and right hemispheres of our brain, but to me it does sound like Churchill was observing the way that the ‘right brain’ activity of painting can offer rest for the ‘left’ brain usually engaged in analytical activities. It is no use saying to the tired ‘mental muscles’…”I will give you a good rest”, ‘I will go for a long walk’, or ‘I will lie down and think of nothing’. The mind keeps busy just the same. If it has been weighing and measuring it goes on weighing and measuring. If it has been worrying, it goes on worrying. It is only when new cells are called into activity, when new stars become the lords of the ascendent, that relief, repose, refreshment are afforded. It is for this reason that Churchill argues that having a hobby is VITAL for everyone. What Churchill seems to be describing is the need to be able to ‘switch off’. For the majority of people in the West (especially of working age), hobbies are increasingly rare. Often people say that they are too busy for a hobby, when the reality is that they use TV, often for hours each day, as their way to ‘switch off’. TV is certainly the easy way to relax. I know I watch more than my fair share of it. In contrast, engaging in an activity such as painting involves being fully conscious, ‘total’ or fully mentally present in what you do. Painting is complete distraction. I know of nothing which, without exhausting the body, more entirely absorbs the mind. Whatever the worries of the hour or the threats of the future, once the painting has begun to flow along, there is no room for them in the mental screen. They pass out into shadow and darkness. All one’s mental life, such as it is, becomes concentrated on the task. He could also be describing meditation – from Eastern philosophy or from more modern mindfulness practices. And I believe there is a link here. If one can get into the ‘flow’ state with our painting, we are truly at one with it and the mind is quietened in a positive and restorative way. And for those of us not well practiced in meditation (I for one am always promising myself I will make more time for it), painting can prove an especially useful addition to helping bring balance to our mental and emotional lives. It certainly did for the remarkable Winston Churchill who managed to keep a clear head throughout the Second World War and played a key role in providing confident, reassuring leadership for Britain during that frightening time. I’d love to hear your own thoughts on this subject and whether you find painting to be restorative for yourself. I couldn’t agree more. Drawing in graphite is my first love, my form of meditation. Thank you! for your very informative web site. Anna, how true, anyone running a busy successful business needs to switch off completely from time to time and having recently enrolled on your painting course realise that getting the paints out and following your excellent instruction is what’s required. Churchill also said. ‘Having bought the colours, an easel and a canvas the next step was to begin……but what a step to take! The palette gleamed with beads of colour; fair and white rose the canvas, the empty brush hung poised, heavy with destiny, irresolute in the air! I think we can all identify with that but I couldn’t have put it more eloquently. I agree completely. Painting is that rare thing that allows no other thought processes and I always have a good sleep after a painting session, it manages to tire my mind like nothing else can. After a night of telly watching, I get into bed and can’t stop my mind from racing. I totally agree. I feel the same. Actually is one of the reason I start learning drawing and painting, to calm down my mind. It helps me a lot. I’ve discovered learning how to paint watercolors is helping me recover after losing my husband of 40 years. It is a gentle prodding to my mind away from grief and yet very meditative and soothing to my soul. So pleased to hear that painting is helping Toni. Positive wishes to you. Thanks for the post. Very well done. I didn’t start painting to relax. I started for the love of colors and play. As I continued to sketch and paint , especially when I traveled, I realized that it did in fact help me to relax as well as enhance my memory of the places I had visited. When I looked back at my sketches I could recall small details, smells, sounds, weather, many things that one just can’t put on paper. I’m pretty much OCDC when it comes to painting now that I’ve retired. hummm have I created another stress in my life? If so it is a good one. So very true! Fourteen years ago my husband had a couple of strokes, he couldn’t bear me to be out of the house… we had both just retired and had plans to do all sorts of exciting things. By chance, I met a wonderful botanical artist and began to paint, never having picked up a brush before. Painting has transformed my life with some amazing happenings along the way. While trying to capture the essence of a flower, one is completely transported from the stresses of life into another world. Thanks for sharing this Alysia – very inspiring. Interesting read! I do agree that it has been both restorative and recreation for me personally. The creative journey is something indescribable and I can feel the varied areas of the brain light up while at it. But to begin that journey is slightly slower in my experience and am certainly looking for ways and means to conquer that initial block. Hi Ana, you are very right, since childhood painting has been for me a great medizin, it makes me happy. Did you know that in Tibet people paint mandalas for many days after a loss to recover?Thank you for sharing this article. Thanks Bettina. I’ve read a bit about Jung and Mendalas – but not about what they do in Tibet. How interesting – I’ll check it out! I started painting whilst recovering from a 4 way heart bypass operation. I like to produce art in detail and I could not achieve this in watercolour so I began to use coloured pencil and pen and ink. 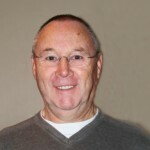 Over a period of about 10 years I have developed arthritis which now causes me to be in constant pain, sometimes very severe. I saw an avdert in a magazine for WOW watercolour painting and after watching some of Anna’s demos I thought this what I have been waiting for. When I am in severe pain I can’t do a lot about it but rest, but for the rest of the time learning to paint watercolours helps to take my mind off the pain. So it is a BIG THANKS to Anna for providing a way of helping me to have a better standard of living. I have been receiving your newsletter for a while now and really enjoy your updates. A couple of years ago I went to the Winston Churchill museum in London and understand completely how he must have needed a mental escape from the confined spaces he and others ran the war effort. Keep inspiring people to tap into their artistic side and I will do my part in Australia!! As a paralized stroke surviver,I know the value of painting. Losing the use completely of my right dominate side, I was devastated.Then I tried a child’s colouring book,slowly making marks with my nondominate hand,progressing from there to now using multi-media,though mainly watercolour. I had an exhibition last year,selling four paintings and numerous greeting cards. Painting saved my life at a time I was looking to end it. Now I have everything to live for and a new exebition. Really inspiring! Thanks for sharing Dorrie and congratulations on your successful exhibition! This is a very good article. I too have experienced that painting is a very good way of relaxing. It is like meditation. I lost my mother to cancer 5 years back. My mother also used to love painting like I do. Since then my love of painting has increased. I find painting takes me to a different world where only colors are their arround me. But it takes me some time to switch off my left brain and see image as a pattern of colors. I will try the upside down theory to speed up the switching time. This is such a treat to know Sir Winston Churchill enjoyed painting. 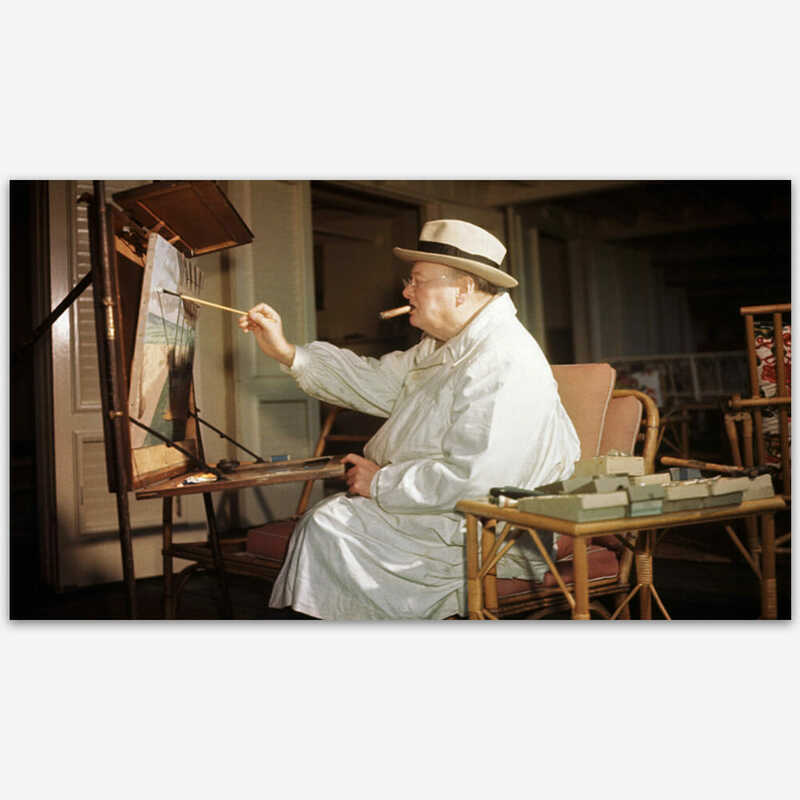 Sir Winston Churchill His Life and His Paintings. By David Coombs and Minnie Churchill. You will be wowed by his paintings. Excellent subject,l started painting when my darling mother died.l needed. Something to fill this great big hole inside me.Pastel painting did this and after 10years is still my first love,although watercolour is now becoming self absorbing.li fills my mind and creates a softness inside of me,wonderful. Never were truer words spoken! Gardening & sewing were my ‘release’, till I started painting! Thank you Anna!